If your spouse was unable to speak for themselves, would you be able to provide their medical history? If you are ever in a medical emergency situation, especially in an unfamiliar city, it is very difficult and even sometimes impossible, to think clearly regarding medications, allergies, finding your insurance card, etc. We have been in that situation and at the time I really had to stop and think about our insurance coverage, how to access our past medical history, allergies, etc. Thank God our son was there to help me think clearly! I hope these worksheets will help you always have the information with you when needed. This continues my series of blog posts to help Workampers be organized using Worksheets for pertinent information relative to your workamping jobs, your RV and vehicle, and planning your routes. 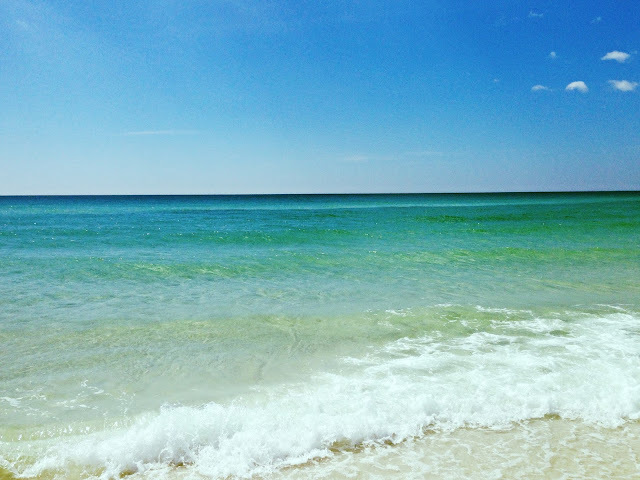 In this post I will show you my extensive worksheets for your medical and health information.This includes 3 Worksheets - Medical Information, Medications, and Dr. Visit. Your Medical Information is probably the most important info you carry around the country with you! Having this information in an emergency is critical to your health. You may already have some of it partially documented, but these worksheets are to help get all this information in one place. I’m sure if you have any serious medical conditions you already have some of this information in a handy location or even on a Medical Alert bracelet. We also try to keep our own copies of our medical records, or at least a summary, as sometimes it takes a while to get previous records from other facilities. Many facilities now use Electronic Medical Records so it is easier for you to access your records when you are on the road. One set of worksheets should be filled out for each person. 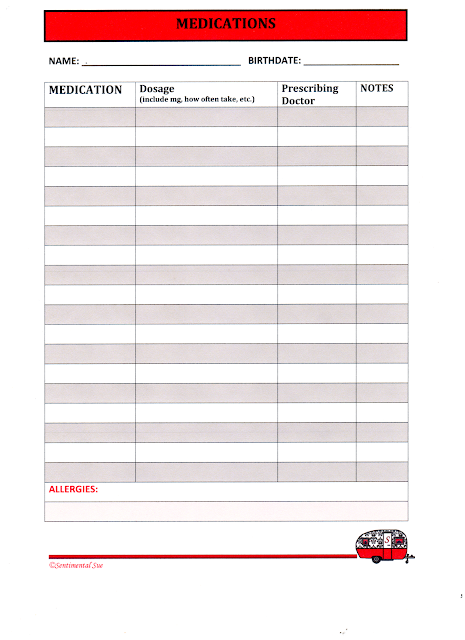 The 1st worksheet is for your Medical Information. Fill out your name and birth date. If you do not take very many medications, there is a short section to list your medications, or you may use the second sheet for even more details of your meds. You should also list over-the-counter medications, vitamins, and even herbal supplements. The next sections to fill out are your past medical history and past surgeries. This is so important to have written down so you have the exact dates and procedures done. Once it is written down and documented you don't have to try to remember or guess at those dates. Who can remember all that info anyway? Family history also is important to have documented as these are questions they always ask at the doctor's office or hospital. This also can be a brief summary just so you have the basic details in an emergency. Your primary physician's name and address are great to have handy in an emergency so you don't have to look it up, and to make sure they have the correct information in case they need to contact your primary doctor. If an emergency physician has to contact your physician and this will save lots of time. Insurance company information including phone numbers, address, policy numbers, website, and passwords are filled out in the next section. It is good to document co-pay and deductible for different situations such as office and ER so you know the costs involved before going in. Also do some research and see what kinds of conditions require pre-authorization so you know before an emergency arises. I realize it may take some time to look up all of this information now, but it will be much easier for you in the long run! As a reminder, you do need to carry your actual insurance cards with you at all times as most facilities will need to see the card and possibly make a copy of it. If you have Medicare and a supplemental policy fill out that info as well. The 2nd worksheet is for your Medications to include over-the-counter medications, vitamins, and even herbal supplements. When you are seeking treatment in a new facility, having the exact details of any medications you take is crucial! You should list the name of the medication and dosage exactly as it is listed on your pill bottle. Of course if you do go to a new physician or hospital, you should try to take your medications in the bottles with you. There is also a section to list your Allergies. The 3rd worksheet is for Dr. Visit. You know when you go to any medical appointment at all, they will make a medical record of your visit including all the issues you have discussed, test results, etc. I firmly believe YOU should keep your OWN medical record to document your own impression of what was discussed at the doctor appointment! I don't know about you but my memory can be pretty short sometimes, especially when you discuss several issues in a single appointment. 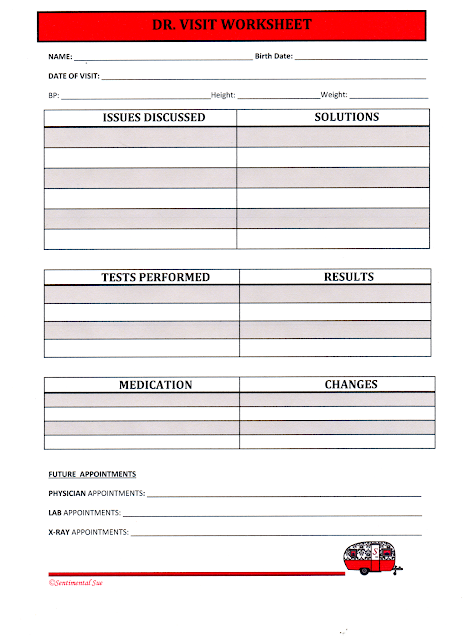 This worksheet is one you can fill out the "Issues Discussed" even before you go to your doctor appointment to help you remember the issues. Then right after your appointment you can fill out the rest so you remember all the details. You should keep your own chronological file for each person so that you can reference back to it whenever needed. You may also request copies of your medical records from the physician or hospital to be sent to you and/or your primary physician. You will need to request this information at the time of your visit and possibly sign forms to have the records sent. Some facilities do charge a fee for this service but it is well worth it to have current info with you at all times. When you receive your medical records, it is good to read them over to make sure all information is accurate. 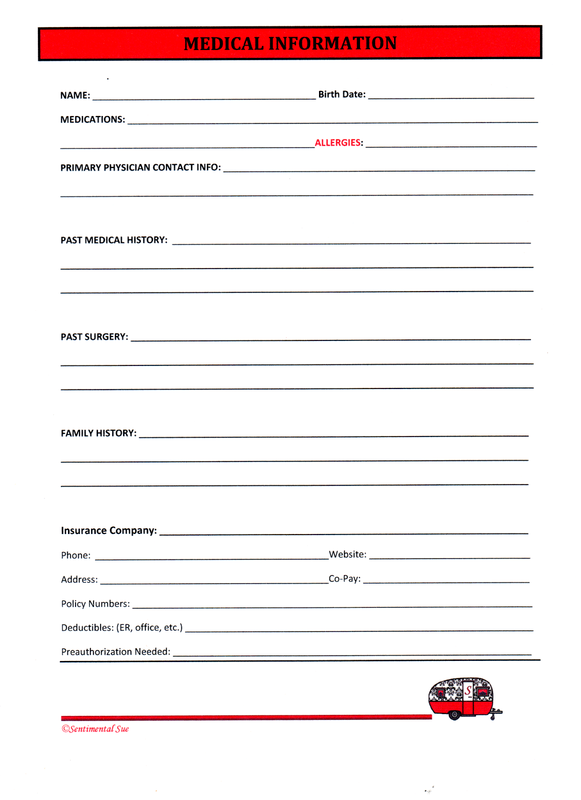 This worksheet also includes name and birth date along with date of visit, blood pressure, height, and weight. These last 3 things are numbers that are usually documented at each visit and it is good to have them in case you need to refer back to them at some point. There are sections for you write down in your own words the issues that you discussed with your physician and the solutions. You should also list any tests performed (blood tests, x-rays, mammograms, etc.) and the results of those tests. List any medications discussed and changes made. At the bottom is a place to list any future doctor, lab, or x-ray appointments. This is just for your own information. If you receive medical records from your doctor or hospital, you can compare to make sure the outcomes are the same. 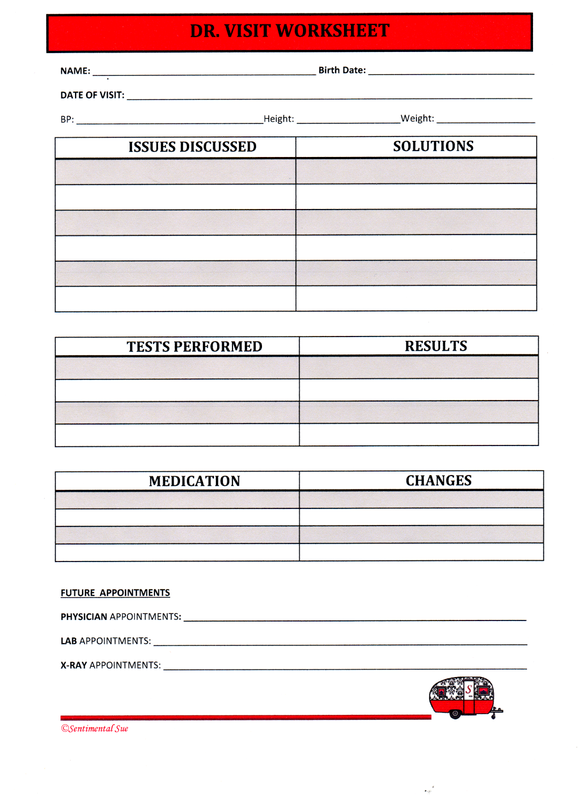 Since medical information is ever changing, it is good to review your worksheets every few months or as necessary. These worksheets are really a good idea for everyone, not just Workampers! All of these worksheets will take a little more work on your part initially, but in the long run, I think it will save you time and give you some peace of mind! Happy Trails! In case you missed out on the previous posts for Worksheets to document information for Interview Questions, your Vehicles and RV, or to Plan Your Route, please fill out the e-mail subscription at the bottom or in the upper right hand corner and these files will be sent to you. Below are links for more details on these worksheets. 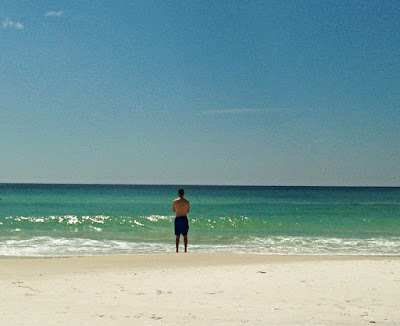 Thanks for reading my Blog and checking out my Worksheets! This Blog and my Etsy Shop helps support our Workamper lifestyle! Please share with friends who may be interested!